In this world of ours with 7 billion people, it’s hard to imagine that there are some places that could be abandoned. And yet, they exist. Each one of them has its own fair share of story and charm. Beneath all the rust and cracks, it’s hard to believe that these abandoned places were once where people used to live, pray, have fun and make a living. It’s as if those people just picked up and left. Each one makes us think that it’s just natural circle of life and existence, the things that used to belong to people are slowly being reclaimed by nature again. Here are the tales of 40 abandoned places most people would have otherwise never seen and how come they came to be deserted. Don’t these pictures give you goosebumps? 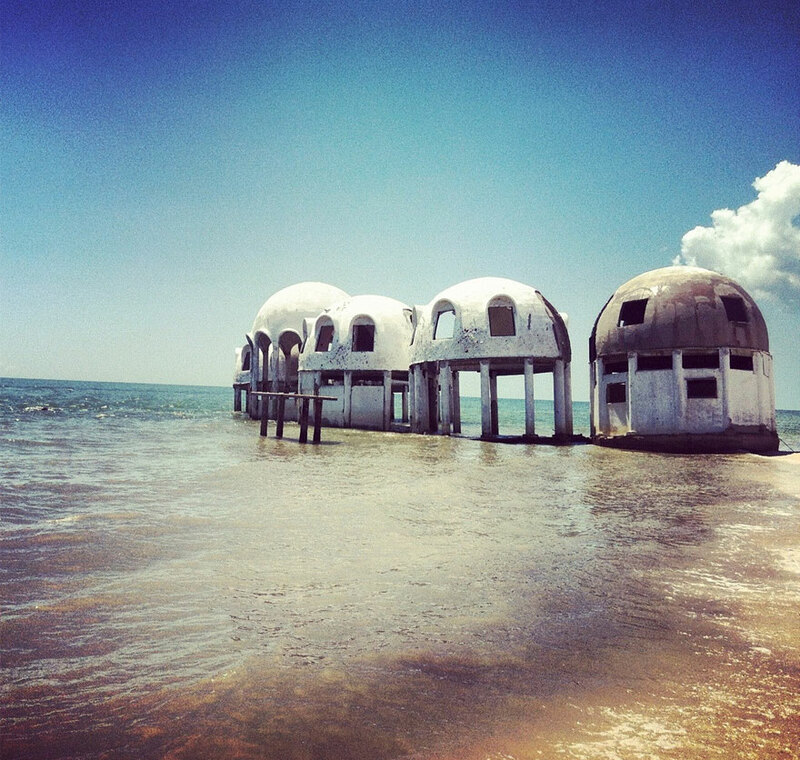 These abandoned dome homes that sit majestically in the sea on Cape Romano off the coast of Florida in the U.S were built in 80s from the brilliant mind of a retired oil producer, Bob Lee. The ever changing cape, still standing from numerous storms and hurricanes over the years, keeps boaters mesmerized into thinking how was it back in the past. What their fate will be today is still uncertain. Next is the haunting image of the 76-ft Mar Sem Fin sunken remains. 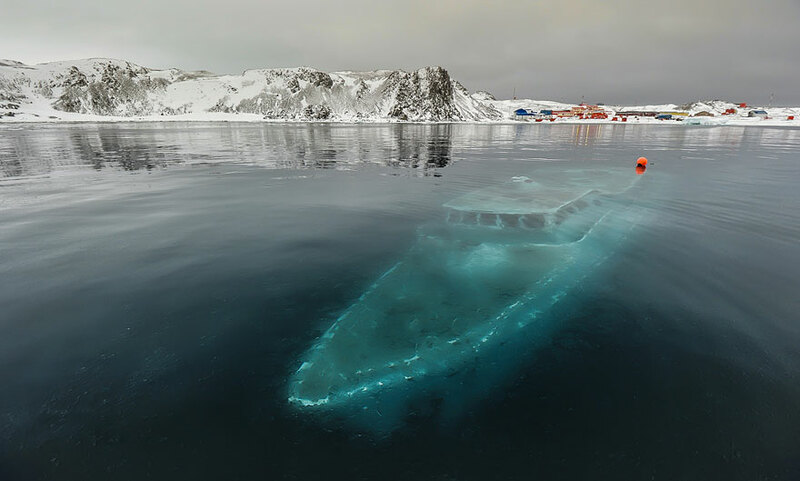 The Brazilian boat, once used for scientific and educational expeditions, sunk on 2012 in Ardley Bay, Antarctica when strong winds and stormy seas forced the crew to abandon the ship. The boat lay in about 30 ft of water, preserved and visible from above, for almost a year until it was salvaged in early 2013. 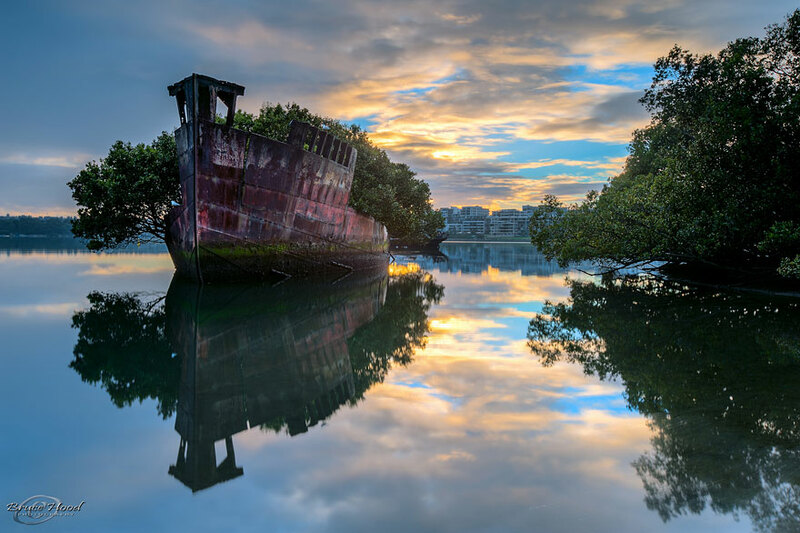 In the west side of Sydney Australia, near where the Sydney Olympic Games were held, there’s a 102-years-old ship, which has turned into what is now known as a Floating Forest. Homebush Bay used to be a ship-breaking yard that dismantled warships in WWII. The SS Ayrfield, previously a transport ship, was supposed to be dismantled but ended up becoming a famous attraction instead. The ship was left abandoned by people, but not by nature. Kolmanskop, an eerie ghost town in Southern Namib Desert, was once a home to hundreds of German Miners during the diamond boom in the early 1900s. 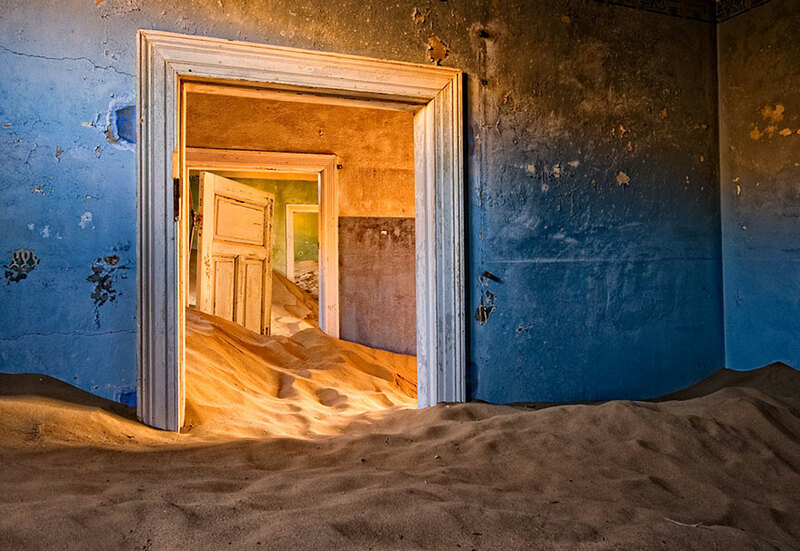 When it was abandoned 40 years later, the desert is slowly taking it back. The creepy remains of the town have made it a magnet to ghost hunters and was featured on a number of paranormal films. St. George’s church in the Czech Village of Lukova was left to rot after part of the roof collapsed during a funeral service in 1968. 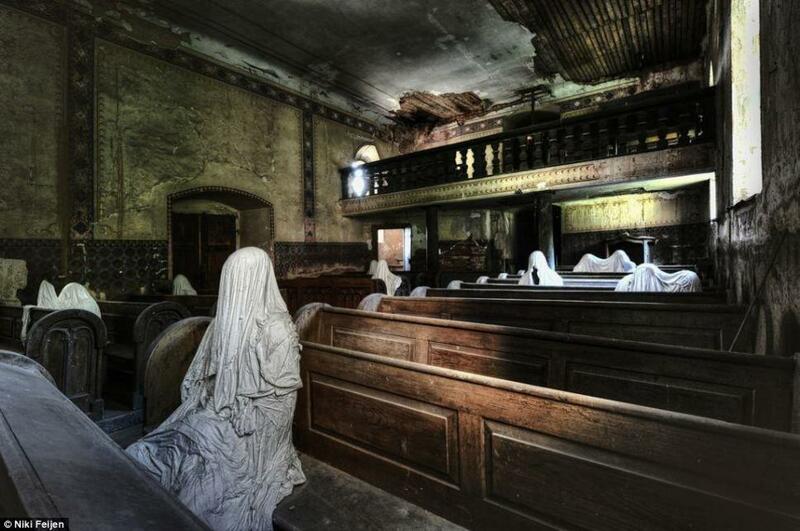 The locals abandoned the medieval church believing it was cursed. Jakub Hadrava, an art student, managed to draw in visitors from all over the word with an artistic, yet spooky, installation featuring white ghostly figures in robes.